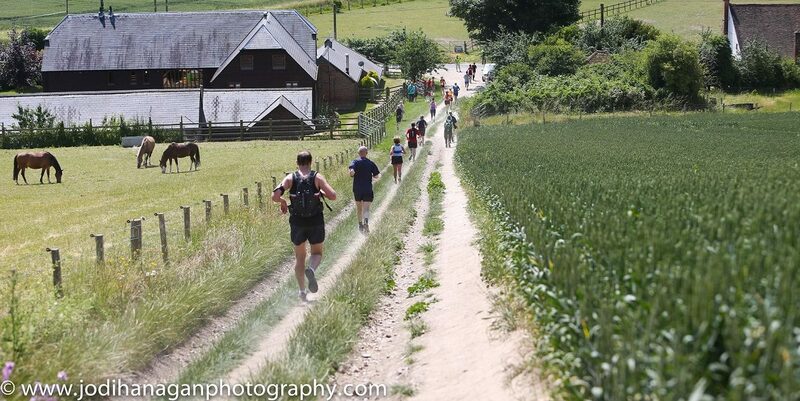 The Grand Prix is a road running competition although a trail races with a confirmed distance are included (NDR, Bewl 15, Sevenoaks 7 to name a few). But only races with a confirmed distance can be included in the Age Graded GP, for reasons that hopefully will become obvious below. Example – in a race of 100 Istead has 3 Athletes Gary came 1st, Barry came 50Th, and Larry came 100th. First of all what’s Age Grading? Well it’s a well know, if disappointing, fact that we get slower as we get older, so comparing a 65 year old’s time against a 30 year old’s time is difficult. Yes we know the absolute time, but if we take the athletes age into account which is the best. This is where Age Grading comes into play, each year the World Masters Athletics Org (that may not be exactly right but it’s something like that) publish a list of tables giving the Age Category World Records for a range of road running distances. So the Age Grading Grand Prix works in exactly the same way as the main Grand Prix except the times are compared to the Age Grading tables not the field in the race. As a heads up any age grade % in the 70%s is good on a local level, 80%s is good on a national level and above 90% is good on the world stage. Finally we give out a prize to the athlete with the highest age graded % of the year. The main thing is to run a range of distances, only 4 people in the club ran all 8 distances in the previous year, and they all finished in the top 3 of the men’s or women’s table. Let me know the races you’ve done. Target big races, as these tend to have slightly slower fields so your %’s will be better. Hopefully this hasn’t confused everyone even more, but if you have any more questions let me know. We had 1,540 results in the 2015. Paul Jones romped away with the title, reason for this is twofold, he completed every race distance and he topped the rankings in every distance apart from the 10 miler in which he was second behind Ed Bovington. Second was Steve Ball who was neck and with Steve Cason for much of the year in the battle of the Steve’s. Steve Ball eventually pulled away due to him completing 7 or the 8 distances and having a slightly higher average %. Jonathan Crowle won the Vets prize, and actually nipped ahead of Steve Cason at the death to take 3rd overall, once again Jonathan scored well as he had completed all 8 distances. Joe Cumberland, Dan Walsh & Myself all had good average %’s but didn’t do enough qualifying races to challenge. Sally D was a clear winner in the Women’s GP, once again Sally completed all distances and placed well throughout, but interestingly is not top of any of the rankings list. Vikki Hill was 2nd after scoring consistently through all 8 distances. Sue Beecham won the Vets prize and like Jonathan came 3rd overall. An honourable mention to Sarah who dropped out of the top 3 in the last month but does have the highest average score of any ladies completing over 5 distances. This last paragraph is in no way intended to belittle Paul’s season which has been nothing short of fantastic, rather it’s a clarion call to the athletes doing well with Age Grade % to complete the whole set and give Paul a run for his money. Mark Champion with 82.01% at the Westminster Mile. Honourable mention to Ray Pearce who scored 81.75% at Dartford Parkun, and Lynne Champion who scored 81.51% also at the Westminster Mile. Our two Globe Trotting Marathon Stars, Kulwinder Thind & Sally D joining a select group by completing all 6 Marathon Majors. Paul Jones running consistently well across all distances and his fantastic 2:49 in Paris a time not seen in a Istead vest since Ray Pearce, Ian Drew and Martin Forder were in their pomp. Istead’s take over of Harvel & the Ditton Turkey Trot where we had 26 & 19 runners respectively. Finally I’d like to apologise a bit, as my Running Highlights are based on performances at the front of the races, and I’m well aware that many of you are doing great things in your running, improving doing PBs, running further and faster than you ever have before, and those performances are just as important as the things I’ve listed above, and really the Running Highlight of the year is being part of Istead & Ifield, a great little club that consistently punches above its weight. Here’s to the next year.